For the first time ever, scientists have measured the electromagnetic and gravitational signals generated by the collision of two neutron stars. In a special research project led by the Technical University of Munich (TUM), physicists with the Collaborative Research Center 1258 “Neutrinos and Dark Matter” (CRC1258) team recorded the aftermath of the powerful event. Their findings will facilitate verification of theories on the exact progression of the merger – as well as the theoretical models on sizes, masses and matter properties of neutron stars. 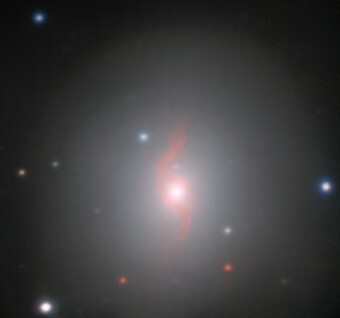 The collision of the two neutron stars occurred in the galaxy NGC4993, about 130 million light years away from Earth. The gravitational waves of this massive event were observed by the U.S. Laser Interferometer Gravitational Wave Observatory (LIGO) and its European sister observatory Virgo, on August 17, 2017 (GW170817). These new observations bring us a step closer to answering a very fundamental question in physics: What is the state of matter in a neutron star? Of all the star types known to science, neutron stars are the smallest and most dense stars. They’re the final stage in the collapse of a massive star and typically have a radius of 10 to 20 kilometers, with about twice the mass of our own sun. According to models, they consist almost entirely of neutrons – because of the enormous density, the electrons of the atomic shells were squeezed into the atomic nuclei converting the protons into neutrons. The physicists also expected to observe an afterglow in the optical/near infrared light part of the spectrum lasting for days, which is known as a kilonova. Matter – especially neutrons and, in small numbers, protons and helium nuclei – is ejected in all directions following the merger. 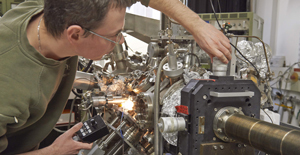 Within a few seconds, the helium nuclei are converted into heavy elements with high atomic numbers by fusion, further neutron capture and subsequent radioactive decay and nuclear fission. The newly formed radioactive nuclei subsequently decay into stable elements and emit gamma radiation for up to 10 days, which in turn heats the ejected material and results in a broadband electromagnetic emission. 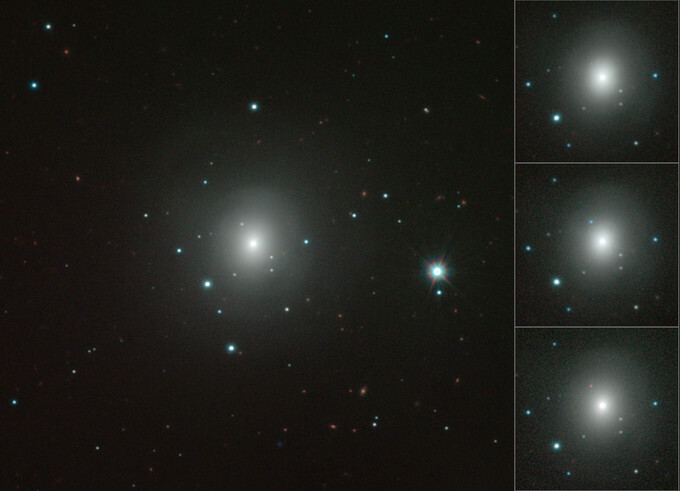 This kilonova was also detected by several teams of astronomers working independently of one another over the course of 12 hours in the approximately 100 square-degree error box of the gravitational wave event. 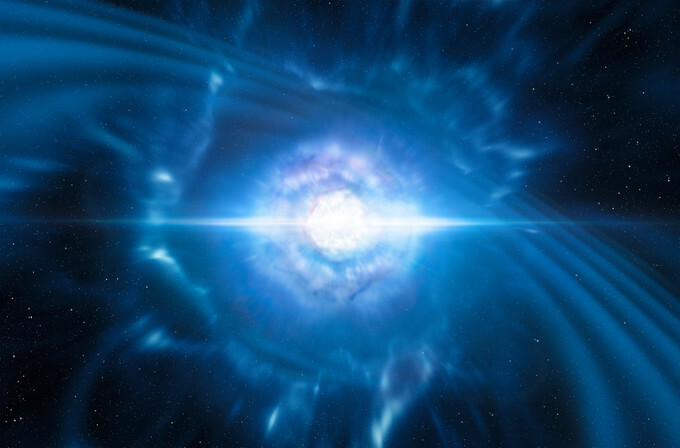 “These observations confirm the theoretical models about the merger of neutron stars and their energetic processes, such as the ejection of a considerable amount of radioactive material,” notes Greiner. 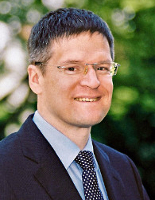 “Above all, they provide new insights into the astrophysical source of the formation of the heaviest of all elements,” adds Prof. Hans-Thomas Janka from the Max Planck Institute for Astrophysics, principal investigator with the CRC1258, and renowned expert for the modelling of neutron star mergers, supernovae and gamma ray bursts. Since last year, several gravitational wave signals of merging black holes have been measured – work which was honored with the Nobel Prize for Physics in 2017. The most recent findings on the neutron star event mark another decisive breakthrough in multi-messenger astronomy. “By using gravitational waves, a multitude of new measurements which are complementary to classical astronomy are now possible, and thus the answers to previously unanswered questions are within reach,” Resconi says. 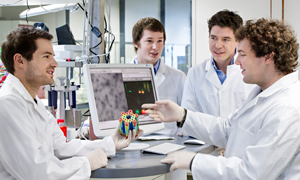 This will have a decisive influence on research at the CRC1258 in Munich.